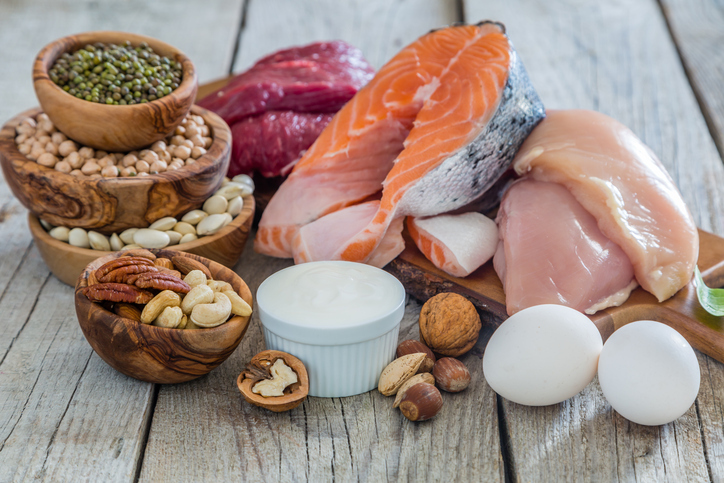 Nutrition information found on the internet keeps pointing to the importance of protein. But are animal sources our only supply of this vital nutrient? Animal sources are not as many plant-based foods can be very good options for obtaining protein. How else do you think vegans get by without eating any animal foods and still manage to maintain a healthy protein status? Not that long ago back in 2009, just one percent of the US population reported eating vegetarian or vegan. Today around 5% or about 16 million Americans have adopted the plant protein lifestyle. That means if you are someone who refrains from or seldom eats meat, eggs, milk, fish, or poultry, your diet may be lacking in protein. Insufficient protein can lead to loss of muscle mass and reduced immunity among other things. Even though animal products are our best sources of high-quality protein, the good news is plant protein sources can be just as healthy in providing the necessary protein you need. Okay, maybe green peas are not your favorite but did you know this garden vegetable contains as much protein as a single serving of peanut butter? One cup of peas has eight grams of protein in addition to almost 100% of your daily vitamin C needs along with plenty of satiating fiber. Split peas are another variety of peas not to pass on by. Low in fat and high in fiber, split peas are often confused with lentils. One cup of boiled split peas has a whopping 16 grams of protein plus they are also filled with calcium and folate. Now here is a protein powerhouse. This gluten-free grain contains up to eight grams of protein in one cup and is high in calcium, phosphorus, and potassium. Instead of using rice, replace it with quinoa in a stir-fry or add it to cooked greens. Chickpeas are a very versatile food with more than seven grams of protein in a half cup. Easily add them to a salad, pureed with tahini, garlic, vinegar and some oil to make hummus or roast them for a delicious protein boost. Chickpea flour is a common and popular ingredient in Indian and Pakistani cuisine. This gluten-free flour has a nutty, savory flavor and best of all, is bursting with protein - one cup contains 20 grams. This flour can be used in homemade waffles, cookies, muffins, and flatbreads. If you have trouble finding chickpea flour at the grocery store, it may be labeled with a different name such as besan, gram, or garbanzo bean flour. This one may surprise you the most as most people don’t associate tomatoes as being a good source of protein. Yet sundried tomatoes pack in eight grams of protein in one cup and are a perfect addition to add to chili and other bean dishes as well as salads and salsas. If you haven’t tried hemp seeds, this is one to put on your grocery list. The tiny seeds are loaded with protein and essential amino acids – the building blocks of protein. One cup contains six grams of protein, the same amount as one large egg. Very versatile, hemp seeds can be easily sprinkled over salads, cereals or oatmeal, or rice dishes. Make this seed a year round favorite and not just in the fall. One ounce of these delicious seeds contains nine grams of protein. Very portable, pumpkin seeds are a perfect pick-me-up protein source along with high amounts of vitamin A, potassium, zinc and magnesium. This crunchy treat can also be added to a trail mix, oatmeal, or salads. Naturally grown in salt-water sources, this blue-green algae has a rich history dating back to the 16th century Aztecs in Mexico. It also has a plethora of important nutrients such as iron and the B-vitamins plus packs eight grams of protein in two tablespoons. When compared to beef which has 22 percent protein, spirulina is 65-70 percent protein. Spirulina comes in a powdered form and can be added directly to juice or water. If the taste is not to your liking, you can combine it with fruit such as pineapple or banana and blend together in a smoothie. Mushrooms are another vegetable brimming with unexpected protein at eight grams in one cup. Couple this with their fiber and you’ve got a vegetable that can help you meet your protein needs.